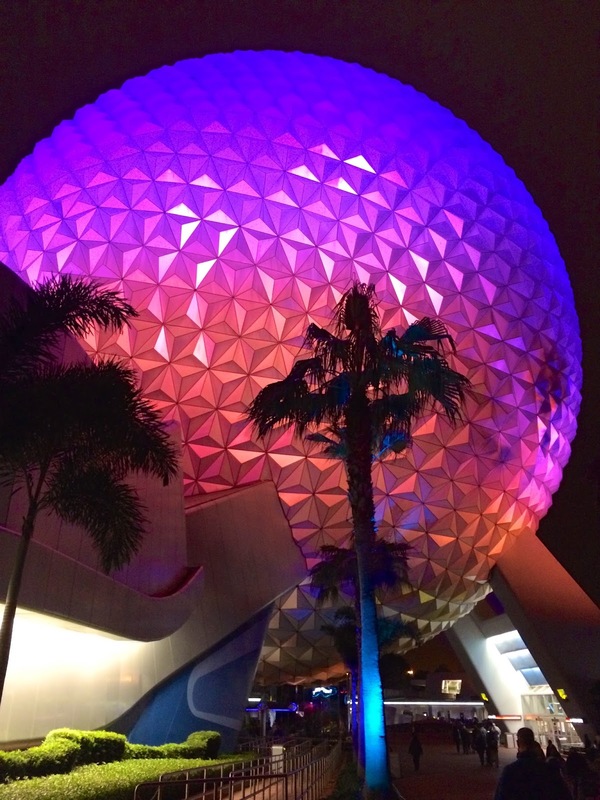 A few weeks ago we went back to Disney for the Food Blog Forum Conference. 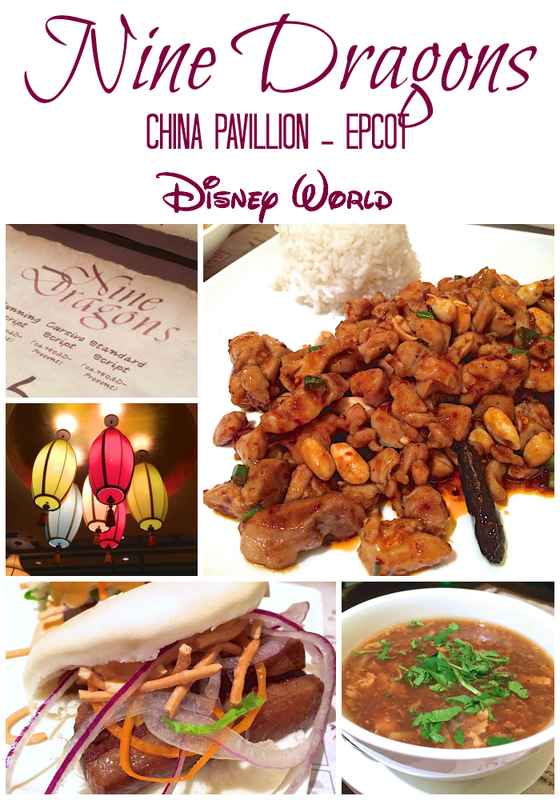 We took the opportunity to try a few new places in Epcot. 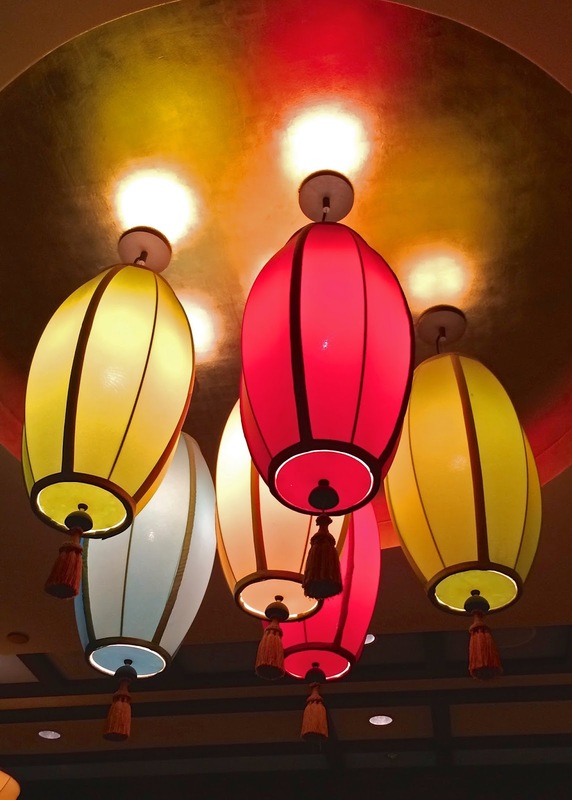 I fell in love with the Mongolian Beef Steam Buns at the Food and Wine Festival last fall, so we decided to try the restaurant in China on this trip. I am NOT a Chinese food fan. 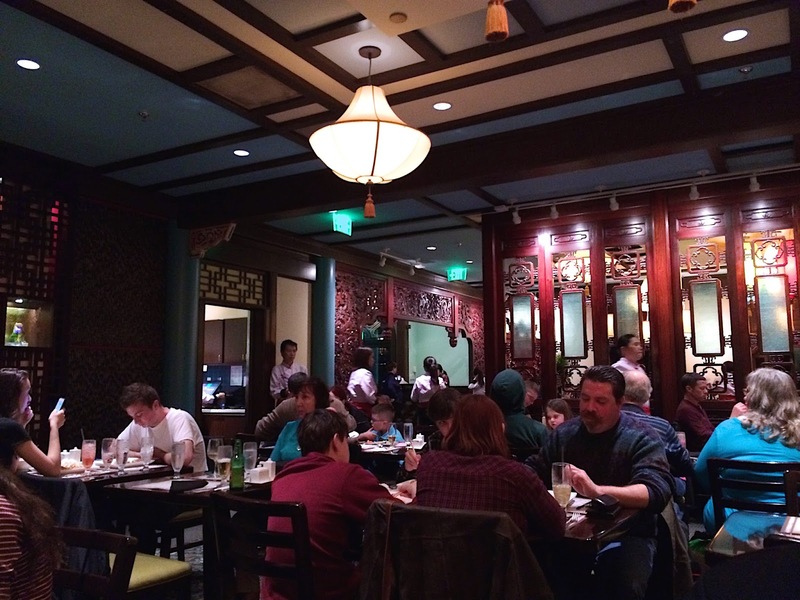 We never eat at Chinese buffets. It just isn't my thing. 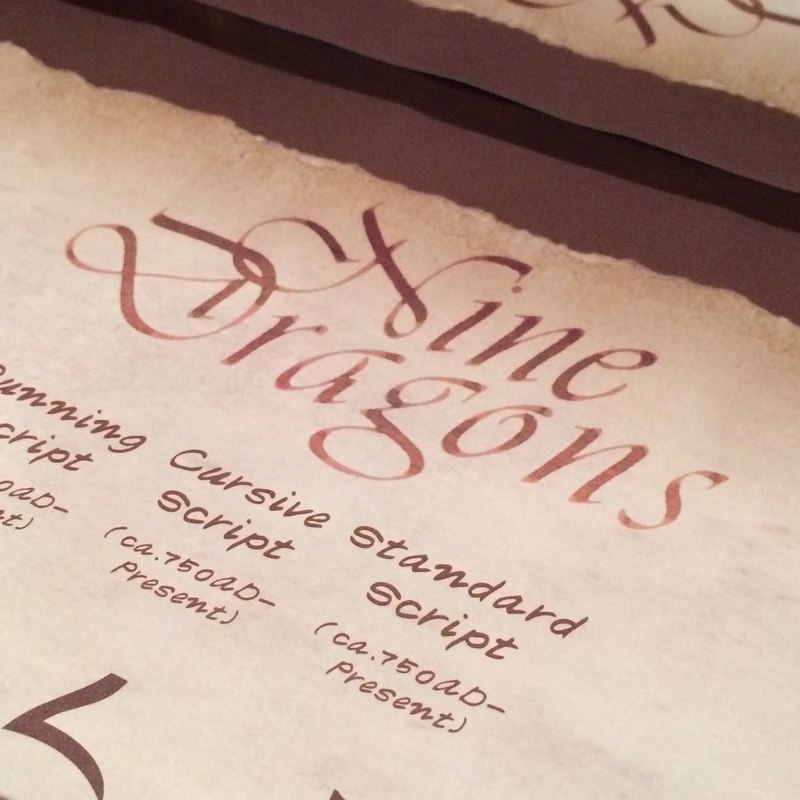 I have to admit, I really, really liked Nine Dragons. The Disney chefs did the impossible; they made me like Chinese food. Disney Magic indeed! Nine Dragons is located in the China Pavilion in the World Showcase at Epcot. 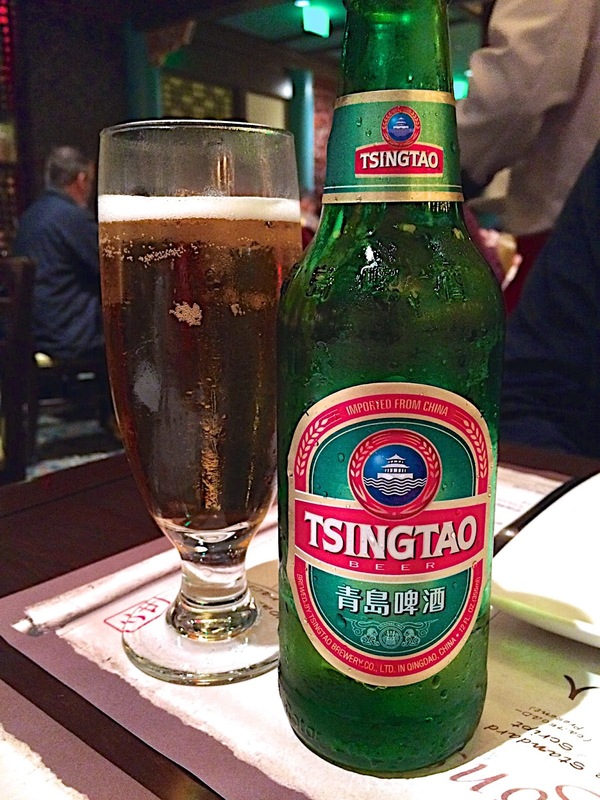 Chicken Legs got a Tsingtao Beer. It is the world's most popular beer, he had to get one! 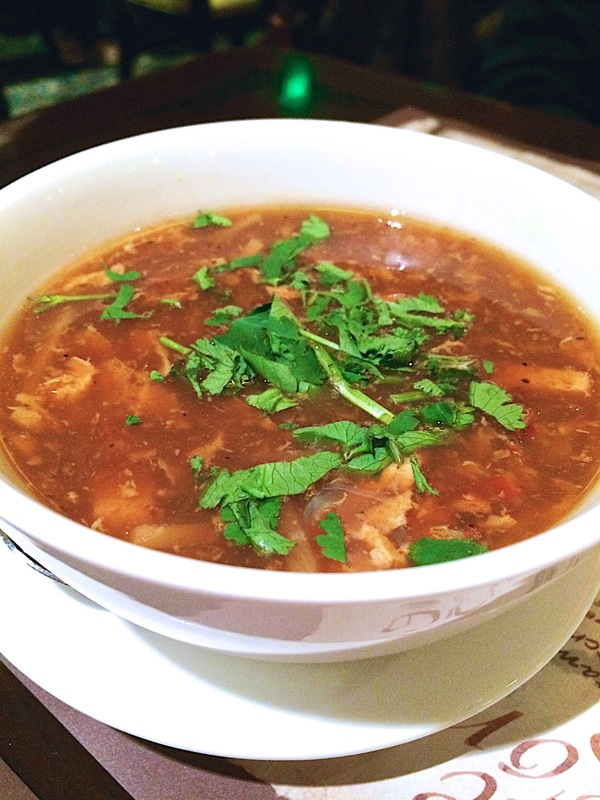 Chicken Legs started with a bowl of the Hot-and-Sour Soup. It was one of the best he's ever eaten. 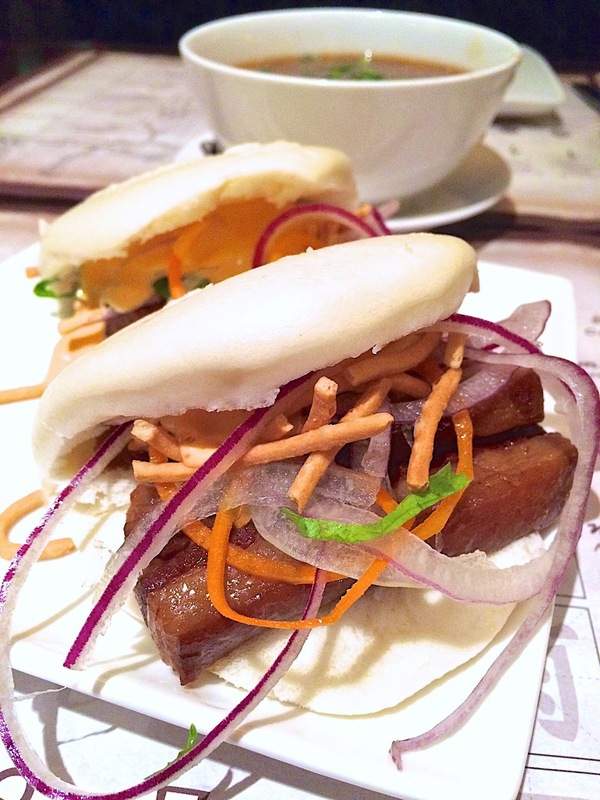 Since I loved the Mongolian Beef Steam Buns so much at the festival, I got an order of the Pork Belly Steam Buns. They were almost as good as the beef version. I could eat these every single day! 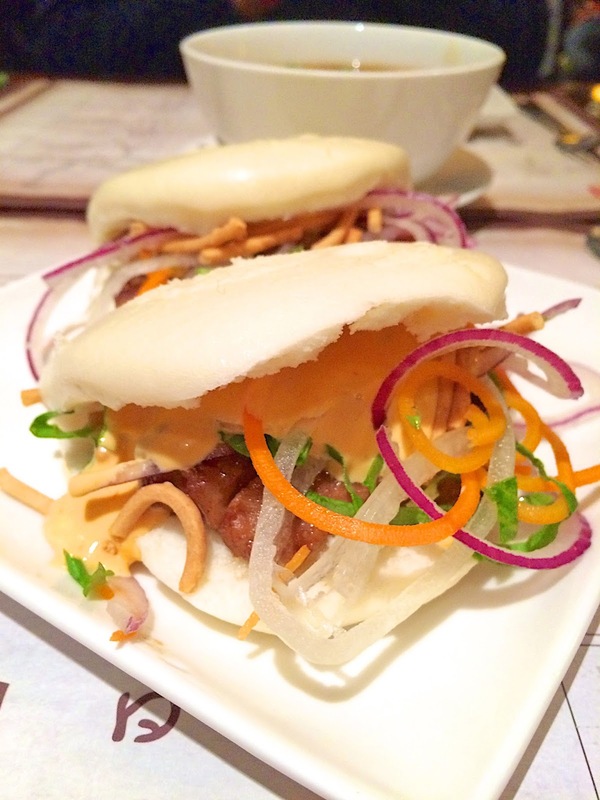 The pork belly buns had the same sauce as the beef buns I ate last fall. My favorite part. 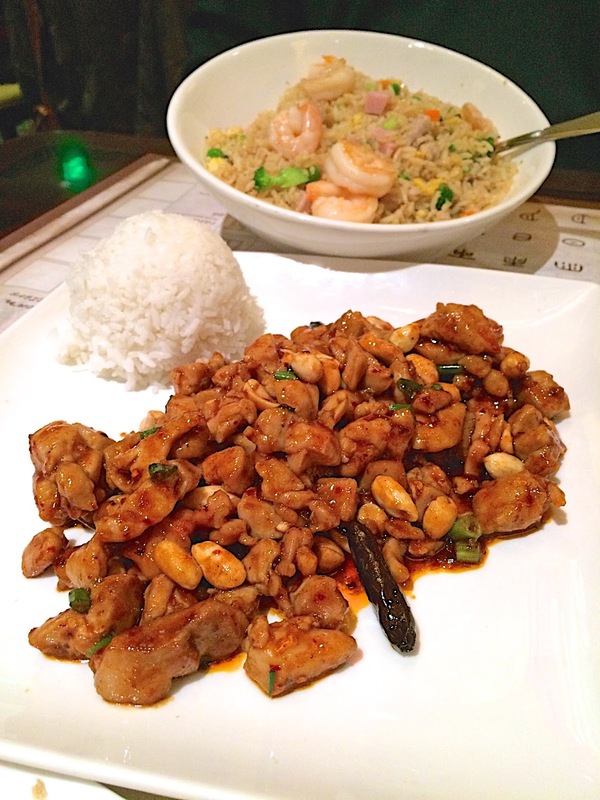 For our entrees we got the Kung Pao Chicken and Nine Dragons Fried Rice. 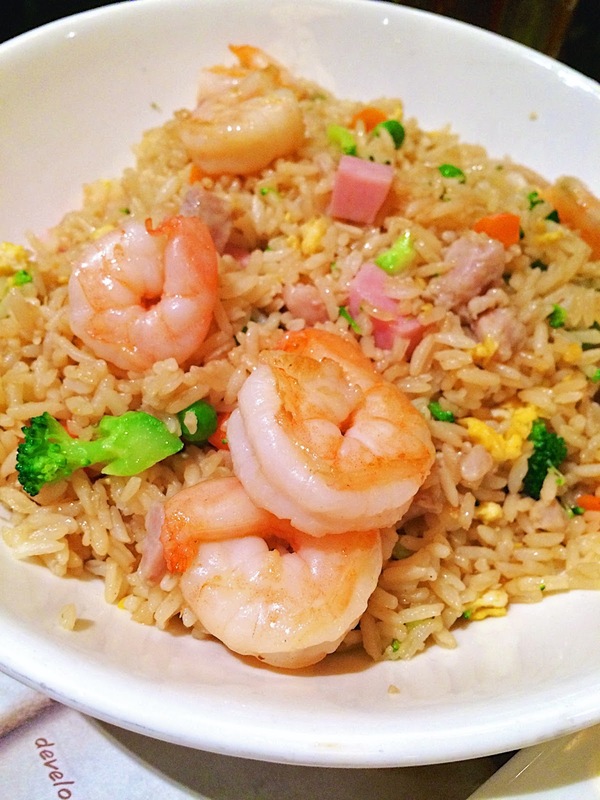 The Nine Dragons Fried Rice was Stir-Fried rice with Chicken, Ham, Eggs, and Vegetables, topped with Grilled Shrimp. 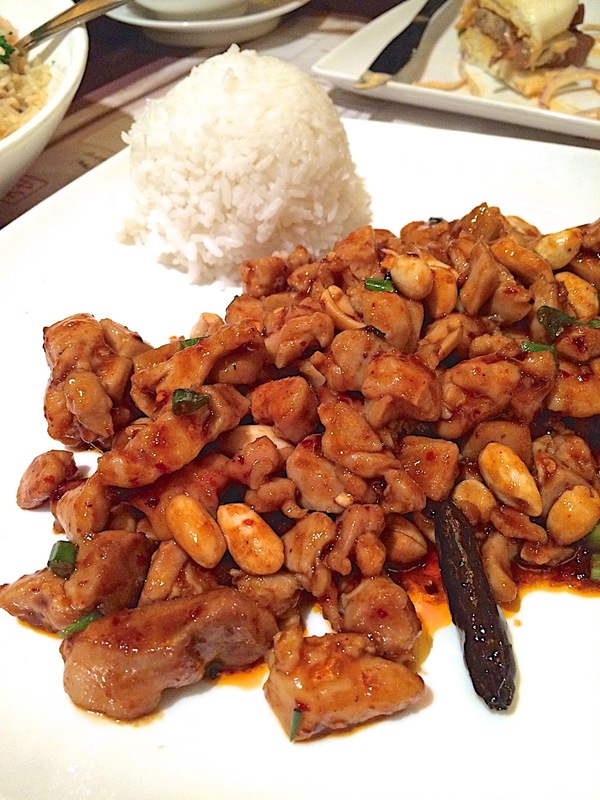 The Kung Pao Chicken was DELICIOUS! I wish I had the leftovers right now! It was spicy, but not over the top spicy. But, "Steph likes her chicken spicy!" I'm so glad we finally tried Nine Dragons! The food was fabulous. The service was quick.